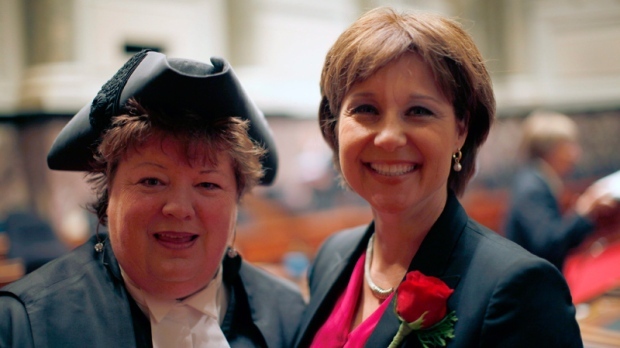 British Columbia's legislature is expected to hear a motion Tuesday seeking the replacement of the province's longest-serving MLA from her role as Assistant Deputy Speaker. The motion to have Richmond South Centre MLA Linda Reid replaced by Coquitlam-Burke Mountain's Joan Isaacs was put forward by Liberal house leader Mary Polak and seconded by Solicitor General Mike Farnworth. The news comes just weeks after a report by Speaker Darryl Plecas accusing senior legislature staff of gross misspending became public. While the report does not accuse Reid of any wrongdoing, she did serve as Speaker at a time when some of the alleged misconduct would have occurred.